More than 20 years ago, Swiss inventor Wim Ouboter was looking for a safe and efficient way of getting around his home city of Zurich when he hit upon a new idea for two-wheeled transport. The journey between Ouboter’s home and his favorite bratwurst stand was only a few miles – a term he later coined a “micro-distance,” too far to travel on foot but too short to travel by bicycle or car. While thinking up how to solve his transportation dilemma, inspiration struck in the form of a well-worn childhood favorite, the scooter. Growing up, Ouboter and his siblings were “scooter-crazed,” as he describes it. The children in the family used scooters to get around everywhere, riding them for recreation and to and from friends’ houses. From the onset, Ouboter knew the key to creating a scooter that could be enjoyed by everyone would be in the design. A rehashed, larger version of his beloved childhood scooters would not do. Instead, Ouboter set out to create something much more minimalist: a lightweight scooter that was foldable and portable. His design needed to be robust enough to carry a full-sized adult but could not be an eyesore or a nuisance to the user when running errands. After a few years of trial and error, Ouboter came up with the design that is likely familiar to most urban dwellers and scooter enthusiasts today. His creation consists of a lightweight, airplane-grade aluminum body set atop a pair of small polyurethane wheels. A hinged fender over the back wheel gives the rider protection from road debris and acts as the brake when pressure is applied. 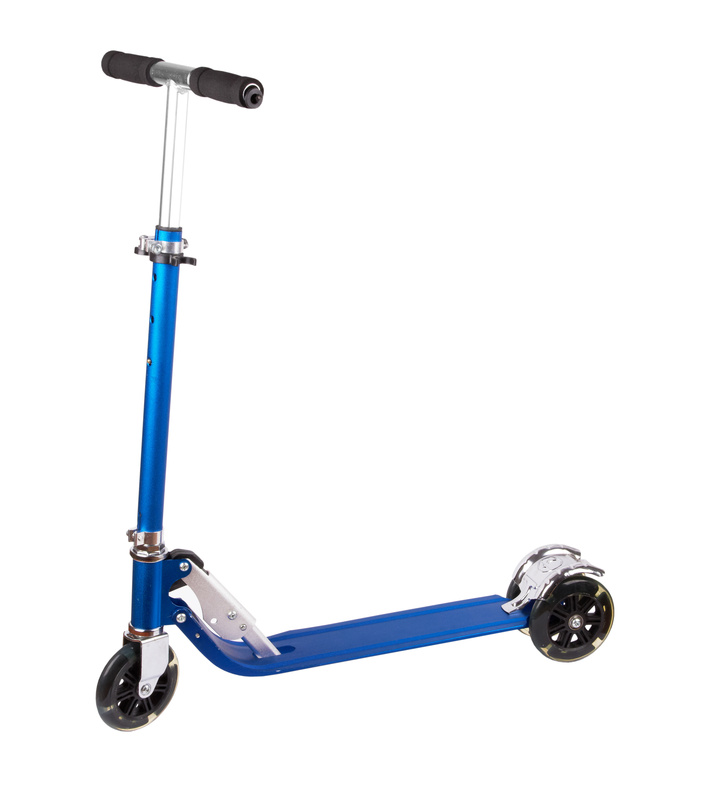 The handlebar and vertical portion of the scooter are collapsible and foldable, making the scooter portable and easily stored. Polyurethane wheels were the key feature in Ouboter’s design. Tiny and light, they were able to bear the weight of an adult rider. Even with their small circumference, the wheels could grip the pavement, providing the rider greater traction and control. In the years since Ouboter’s polyurethane-wheeled design first hit the streets, the minimalist scooter has grown to be an international transportation craze. Today these scooters, still very similar to Ouboter’s original creation, can be seen negotiating busy streets and city sidewalks all over the world.